Deputy Minister of Media, Information and Broadcasting Services Energy Mutodi has come out in defense of President Emmerson Mnangagwa after Professor Jonathan Moyo tweeted a picture of Mnangagwa suggesting that he was engaging in some Asian ritual. 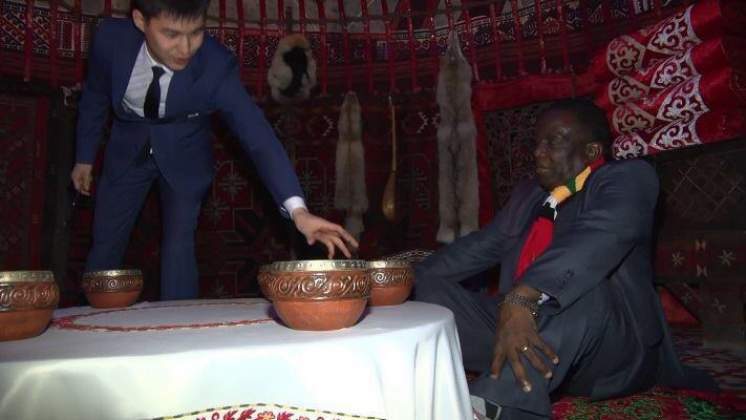 The picture with took social media by storm has made Zimbabweans to suggest that President Mnangagwa was not going to look for investors but to engage in Asian cultism. "Professor Jonathan Moyo tweeted a photo-shopped image of President ED Mnangagwa purportedly performing a ritual." Mutodi said. "I have no doubt that only fools and rumour mongering idiots will believe that to be true." In 2018 Jonathan Moyo alleged that Mnangagwa is a fan of witch doctors and that his trademark scarf is a voodoo object meant to secure him into power. Recently, a Korean Cult leader Hak Ja Han Moon landed in the country to conduct a mass wedding ceremony for couples and to bless the country. The event flopped after Christians and Christian organizations issued statements condemning the event. Deputy Minister Energy Mutodi attended the event before traveling to Korea to meet the cult leadership at their headquarters.